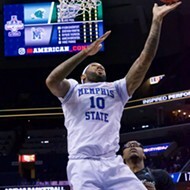 An already uncomfortable drought for University of Memphis basketball fans grew by a year Saturday afternoon at FedExForum. In falling to the 11th-ranked Houston Cougars in the semifinals of the American Athletic Conference tournament, the Tigers fell short of an NCAA tournament berth for a fifth straight season. 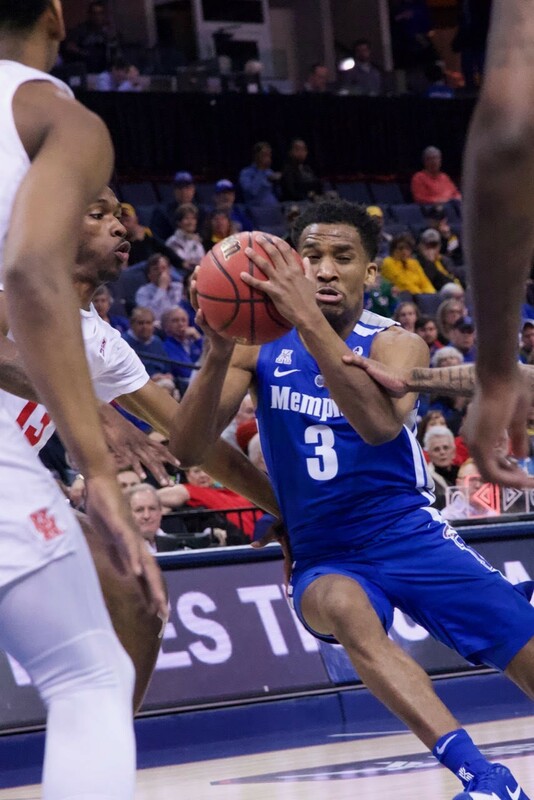 Having climbed into the program's top 10 for both career points and assists, senior Jeremiah Martin must now wait for the possibility of an NIT appearance, his name now in the discussion of the greatest Tiger to never appear in the Big Dance. 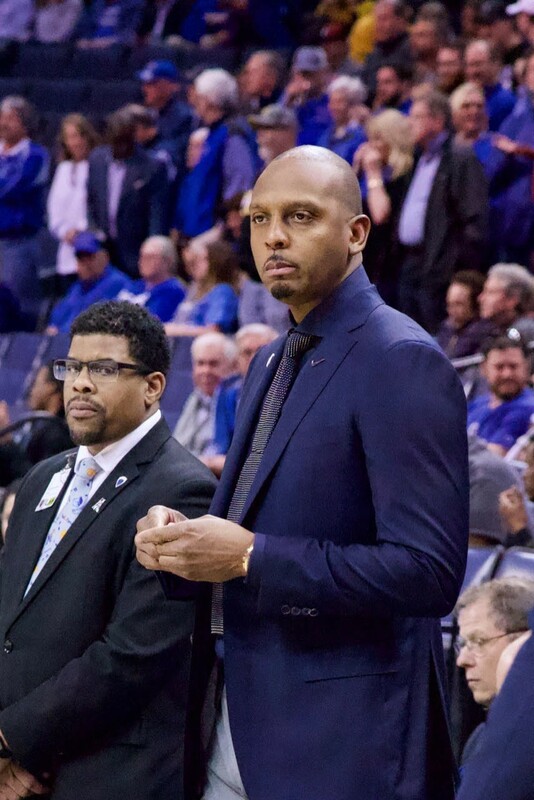 "We understood what they were gonna do," said Memphis coach Penny Hardaway after the loss. "They come out hard, and play for 40 minutes. We just didn't meet the challenge. We fought hard, and I'm proud of the guys for staying in the game. We just made too many mistakes in the game plan." Houston had a nine-point lead midway through the first half and led by 10 (36-26) at halftime. After a Tiger spurt to open the second half closed the margin to five points (36-31), the Cougars quickly regained command with five points in 40 seconds. Houston led by double digits for most of the second half until Memphis began a 10-1 run at the five-minute mark. Both Martin and freshman guard Tyler Harris had open looks at three-pointers to tie the game in the final thirty seconds but were unable to connect. Despite not scoring a point over the game's final 3:47, Houston secured the win to advance to Sunday's championship game. The Cougars are now 31-2 while the Tigers fell to 21-13. Hardaway hopes for that NIT bid, primarily for the chance to extend Martin's career. "[Jeremiah] has been our savior, honestly," he said. "He put us on his back. We played him a ton of minutes, this last month and a half. He's been here four years and will go down as one of the better guards we've had. I hope his season isn't over." Martin managed to score 23 points despite shooting 5-for-24 from the field. (He hit 12 of 14 free throws.) "He's a veteran," acknowledged Houston coach Kelvin Sampson. "Lot of moxie." 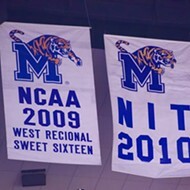 Overall, the Tigers hit only 16 of 68 shots (24 percent) from the field. They stayed in the contest at the foul line, where they connected on 22 of 26 attempts and Houston missed 13 of 27. After contributing mightily to the Tigers' quarterfinal upset of UCF Friday, the Tiger bench contributed only 13 points Saturday, with both Isaiah Maurice and Harris held scoreless. Senior forward Kyvon Davenport was limited by soreness in one of his legs, an injury Hardaway only learned about prior to tip-off. Davenport scored eight points in 26 minutes, but was not on the floor for the decisive final minute of play. All-conference guard Corey Davis led the Cougars with 17 points, the only other player besides Martin in double figures. "I haven't shot well this whole tournament," acknowledged Martin. "Houston is gonna come with physicality. I thought I had the [tying] shot; it just didn't go in." "I didn't expect to have Rome built in a day," said Hardaway. "I wanted to gradually get better. To be as good as we could be around this time, to be gelling. That's what's happened. The guys have grown a lot. We're more defensive-minded." "Everything happens for a reason," said Martin when asked about the disappointment of again coming up short of an NCAA tournament big. "I don't question God; He knows my path. If we get into the NIT, I'm gonna go out and play hard, try to win it." 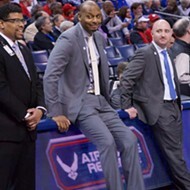 "We had an opportunity," said Hardaway. "We didn't seize the moment, but we put ourselves in position, beating a good UCF team. I want to take the energy I felt going into this game to next season." The 32-team NIT field will be announced Sunday evening, shortly after the 68-team NCAA tournament field is complete.